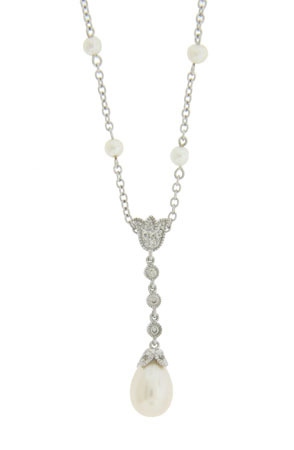 Pearls are set at intervals along the chain of this 14K white gold antique style necklace. A white gold, diamond a pearl pendant dangles in the middle of the chain. The pendant portion measures 1 1/4” in width.